The MV22 truly does it all: a smart analytical security camera system with top-of-the-line features, while remaining simple to deploy and administer, and at a price point which is affordable to businesses of all sizes. Meraki is revolutionizing how businesses look at security systems, and the MV22 is leading that charge. 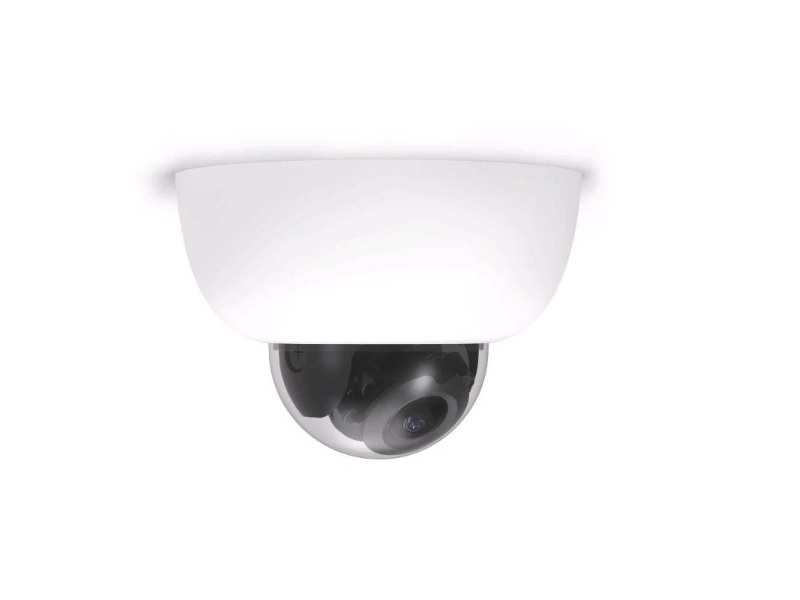 The MV22 boasts a smartphone-grade processor, powering a varifocal 3-9mm security camera with optical zoom that captures high definition video at 1080p. Video is encoded with the industry-standard H.264 codec and can be backed up to your own local drives, or to cloud drives provided by Meraki. A high-grade microphone captures audio alongside the video, and IR lights allow night-vision for up to 30m (~100ft). That powerful onboard CPU gives the MV22 substantial AI and machine learning capabilities. It can recognize individuals, keep headcounts of visitors, generate usage heatmaps, and more. The MV22 is also fully compatible with the new Meraki MV Sense software license, allowing it to utilize third party programs for innovative integration into your daily usage. Despite these cutting-edge features, Meraki MV-series cameras are among the easiest-to-use on the market. They can connect to any 802.11ac WiFi network, and feature zero-touch deployment. All administration is handled through your Meraki Dashboard - the same dashboard that oversees the rest of your Meraki network. From there, you can view analytical reports, control access to security footage, make video backups, or simply watch a video wall of live feeds. There's no need for separate servers or connections. MV-series cameras simply integrate into your existing network, simply and easily. The Meraki MV22 is a genuine trendsetter in modern business security and has a feature set which will make it useful in many roles across your organization. To learn more about the amazing MV22 feature set, contact Hummingbird Networks today for a consultation!